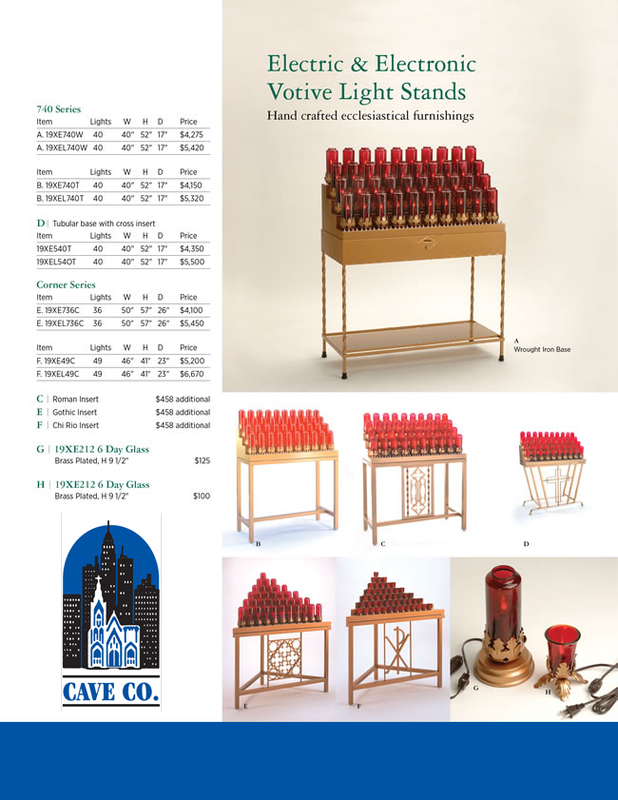 CaveCo electric votive candle stands are elegant and sturdy furniture. Each stand contains 60 or 30 candles. The bulbs are LED type and their light flickers like live flame. Thanks to a voltage reducing device, there is less power consumption and the bulbs last for many years. The technical assembly of the CaveCo stands is both so simple and so sturdy that it virtually eliminates all maintenance and operation problems. You simply have to plug the stand into any regular wall outlet and it is ready to operate. 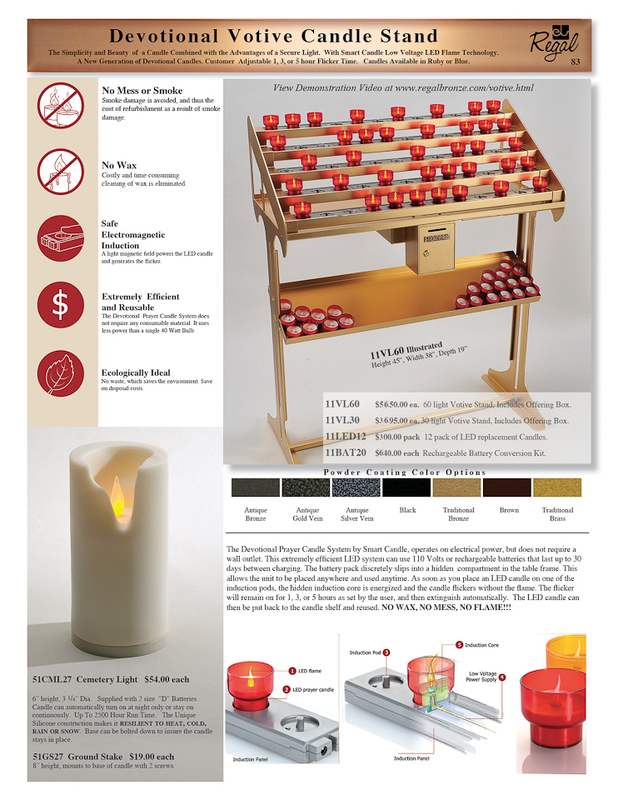 To use it, the faithful just have to deposit their offerings and press on the button of their chosen candle: it will burn for the full preset duration. 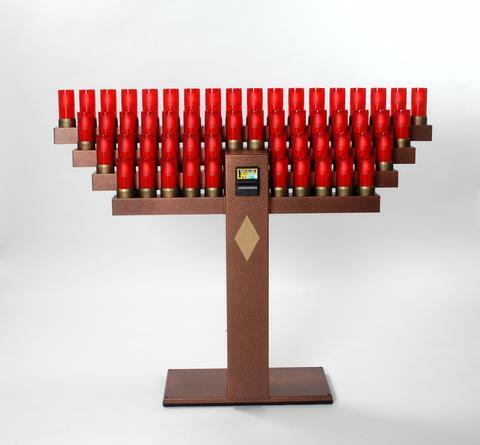 Like all our clients, you will be delighted with the electric votive candle stands. 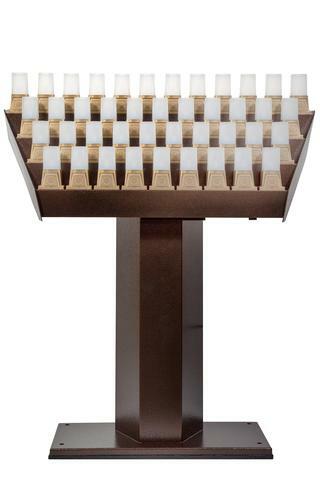 You will want to replace all your wax candle stands without delay. 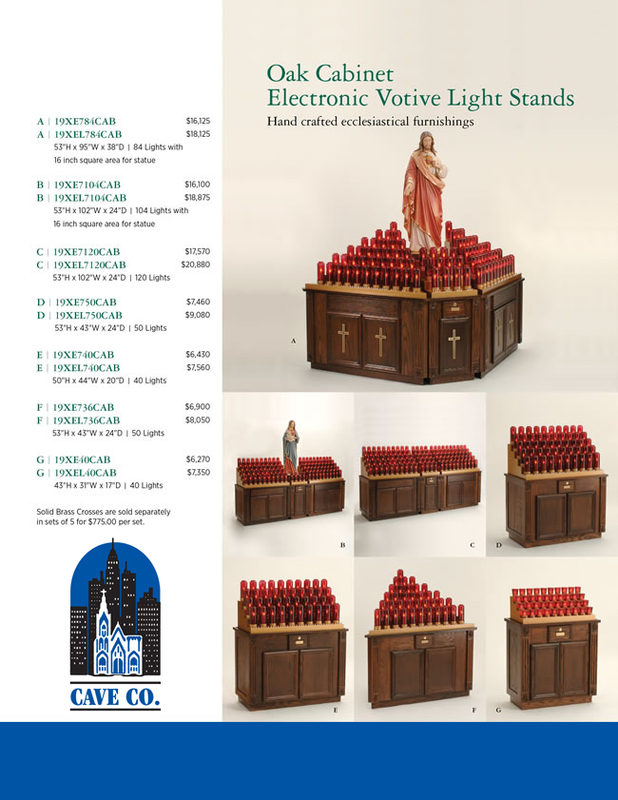 CaveCo can also suggest many other clean and safe lighting accessories, as well as other decorative and religious articles.